the role and conceptualization of the patient the role and responsibilities of different professional healthcare providers (nurses, midwives, alternative therapists, etc) the future provision and approach of nursing and midwifery practice the challenges and opportunities currently facing healthcare systems as a result of integration. This innovative book provides the first critical overview of this important field of health research. 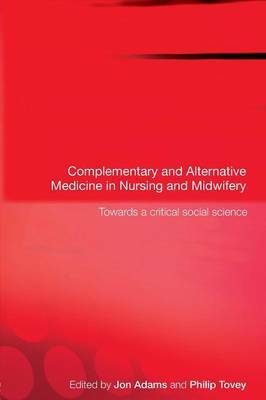 It is important reading for medical sociologists, nurses and other health professionals - as well as students in these areas - with an interest in complementary and alternative medicine.